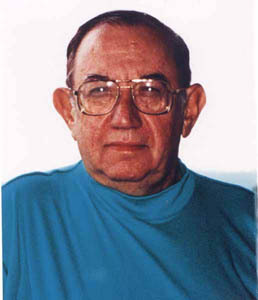 Daniel Keyes is a resident of Southern Florida. Born in New York, he joined the U.S. Maritime Service at seventeen and went to sea as ship's purser. After Keyes left the sea, he resumed his studies at Brooklyn College (now CUNY) where he received his B.A. Degree in psychology. He was subsequently employed as an associate fiction editor, then left editing to enter the fashion photography business. Keyes later earned a license to teach English in the New York City schools and was granted tenure. While teaching days and writing weekends, Keyes returned to Brooklyn College at night for post- graduate study in English and American literature. After receiving his M.A. degree, he left New York to teach creative writing at Wayne State University. He joined the faculty of Ohio University in 1966, was appointed Professor of English and Creative Writing, and in 2000 was honored with Professor emeritus status. Brooklyn College awarded Keyes its 1988, "Distinguished Alumnus Medal of Honor." Keyes' award-winning first novel Flowers for Algernon has never gone out of print in hard covers and in paperback (Harcourt, 1966; Bantam, 1968). It has been widely translated and is studied in schools and colleges around the world. In April 1995, Harcourt Brace re-published it in the Harcourt Brace Modern Classic series. At the same time it was released by Parrot Audio Books, narrated by Keyes on cassette tapes. Cliff Robertson won an "Oscar" for his performance in the movie version, "CHARLY." The novel was also adapted as a stage play, and after productions in France, Poland and in Japan, it was adapted with Japanese background for a Japanese production, and televised by NHK. Developed as a dramatic musical, "Charlie and Algernon" was performed at the Queen's Theater in London's West End (starring Michael Crawford), at the Terrace and Eisenhower theaters in Washington, D.C. and at the Helen Hayes on Broadway. The Minds of Billy Milligan (Random House, 1981; Bantam 1982 & 1992) -- about the first person in history to be acquitted of major crimes because he suffers from multiple personality. It was selected by American Circle, Bertlesmann Book Club, a Main Selection of the Preferred Choice Bookplan, and an Alternate of the Book-of-the-Month Club. It won Germany's Kurd Lasswitz Award for "Best Book by a Foreign Author" and was nominated for the "Edgar Award" by the Mystery Writers of America. The Milligan Wars: A True-Story Sequel, (already published in Japan in 1994, where both books were highly acclaimed million-copy best sellers), will be issued in the US by Bantam Books, in both hardcover and paperback editions, during the theatrical release of the movie version of The Minds of Billy Milligan which has been bought by Warners for a movie entitled "The Crowded Room." In Unveiling Claudia, (Bantam, 1986, 1987), Keyes solves the mystery behind a woman's knowledge and false confession to three of the ten "22-Caliber Murders." In his memoir, Algernon, Charlie and I: A Writer's Journey Daniel Keyes retraces his steps through the life experiences and events that led to his creation of Flowers for Algernon. February of 2000 saw not only the publication of Algernon, Charlie and I, but also the airing of a new, made for TV movie adaptation of Flowers for Algernon on CBS-TV starring Matthew Modine and Kelli Williams. Keyes has done four book tours (including one in Tokyo) and has appeared on "The Today Show," "Regis and Kathy," "20/20," "Sonya," and "Larry King Live" (twice), and has lectured at more than sixty universities across the country. For a schedule of his appearances check the "Appearances and Book Signings"page. He is represented by Mel Berger at the William Morris Agency in New York.